Recently I’ve been hearing stories about players— good players— quitting league tennis. I ran into someone I played with on a team three years ago and was shocked to hear she’d given up something she used to love so much. “I had enough,” she told me. She’s talking about the politics and drama involved with league tennis. This is exactly the kind of woman the USTA does not want to quit tennis. She’s fit, a great player, a mom and a wonderful human being. But we all know what she’s talking about, right? The dustups of everything from doubles pairings drama to snack table planning is something human beings seem to thrive on— and find disgusting— all at the same time. The NTRP, which places a hard number on each player’s level, is the ever-present hawk circling over any season. 2. Cheating in the form of bad line calls during matches. As a captain trying to put together a fall/winter team, my longtime players have also been bolting. They’ve had enough. With these things weighing on my mind, I steeled myself for a weekend at District Championships in Providence, RI with a team I barely knew. I had signed up on a whim as a sub for a large team outside my usual club for spring/summer— and wouldn’t you know, this team made it to Districts. Not only was I pleasantly surprised by what I saw, but my eyes were opened to the reality of league tennis: When it’s good, it’s amazing. It’s quite possible we’re not celebrating the positives enough. 1. Great sportsmanship. From the get-go, the energy at the entire tournament was something like positive excitement. 2. Players rising to the occasion in intense 100+ degree heat. We had no air-conditioning in a dated indoor facility, and temps outside were in the 90s. It was at times almost unbearable. Yet the level of tennis was superb. 3. Opposing teams hugging each other and sharing water, ice packs, Advil, energy bars and bananas with opponents. 4. 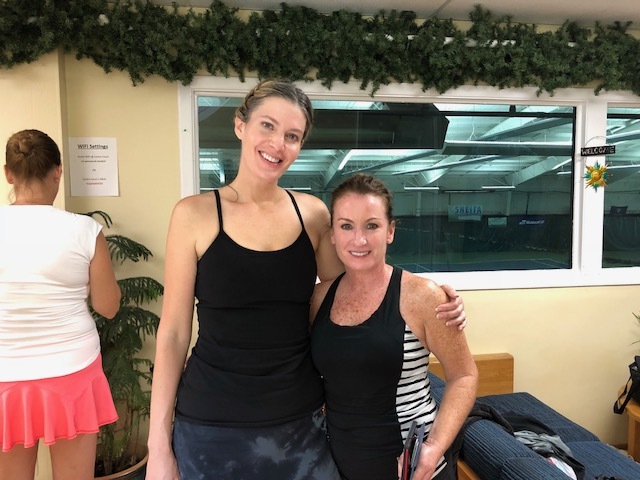 Women handled the “tennis vortex” pressure really well — these are the words of my friend Jessica. When hundreds of matches are played in three short days, the outside world starts to blur and the tennis world becomes front-and-center. 5. Great leadership from captains … especially ours. The captain of this team (Maria) is a 4.0 level player overseeing a 3.5 team. By rule, she couldn’t play. But she made the trip out of kindness and joy, performing her duties with care and dedication. 6. In one particular match, when a singles player went down with severe cramps, her opponent sat with her in the middle of the court for 45 minutes. Another opponent, who is a nurse, came to her aid. 7. All perfect line calls. Seriously. I didn’t see a bad one, and everyone said the same thing. It might be time to look at league tennis on balance, and not let a few bad stories overshadow excellent competition in a beautiful sport. My team advanced to the final before Greenwich took the championship in a tiebreaker. I lost both my matches — yet it was my best weekend of tennis ever. Amy Lundy is a reporter whose work has been featured on ESPN, CNN and The Golf Channel. 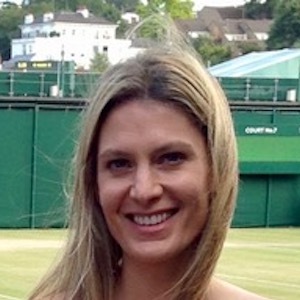 She is the Director of Films at The Tennis Congress. love this story!! i have experienced it and love every single tourney, match, opponent, JUST ABOUT EVERYTHING! !